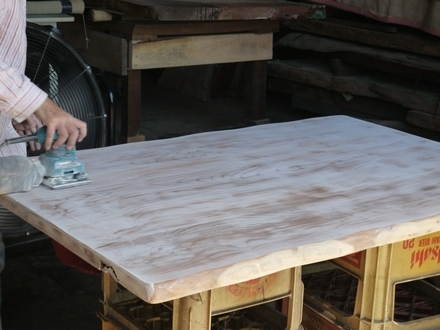 The process of shaping a piece of Mulberry tree into furniture! 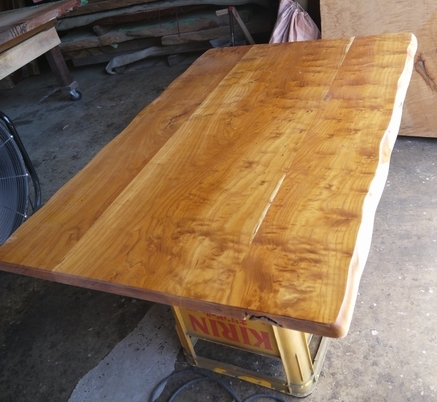 1, We sanded the surface of the wood slab and applied middle coat and top coat. 2, We attached the legs. They are mulberry legs. Mr. boss found them after hours of looking, to match the table top. 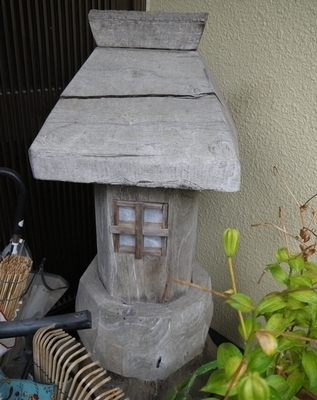 There was a gate lantern in front of the house which was made by the customer's late husband. 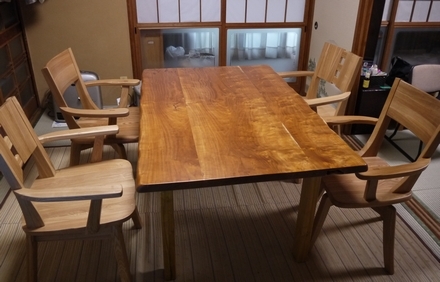 She said he loved wood very much. 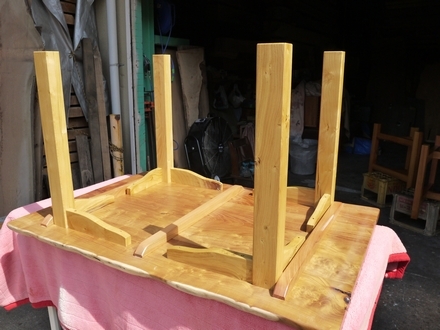 It was a lovely wood lantern.